Yes we know now! The mix & match goes on foot! We used to wear our sneakers only in gym but now the fashion is knocking our doors to tell us that we can wear them everywhere with everything! These photos present an example of what this trend wants to tell us..Although I'm not a huge fan of wearing sneakers I have to say that I like this trend! 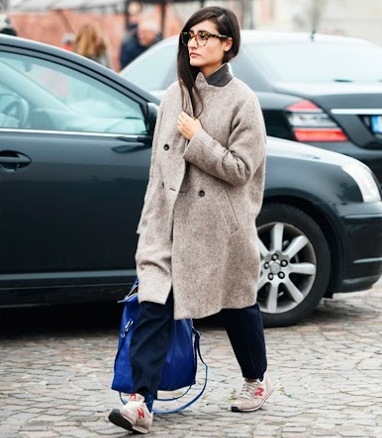 And most of all, I have get inspired from these streetstyle fashionistas! So girls..why we can't try different things? May we will discover the other side of ourselves....who knows! In love with the ISABEL MARANT sneakers! mou aresei !!! !eidika i prwti kai tetarti pic! I've just found your blog and i like it!! Amazing post, i LOVE sneakers. Who doesn't love sneakers? Amazing outfits and great inspiration.